An art tile painted with black ceramic paint with a white foot print in craft paint. 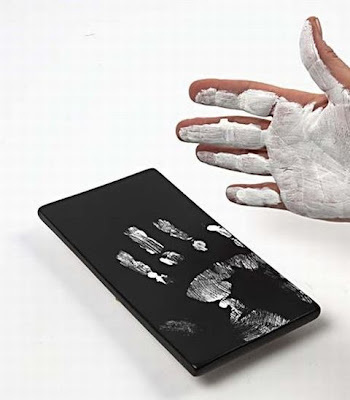 Or just a hand print onto a white tile with black ceramic paint. Write a text with white/black glass and porcelain marker pens. 1. 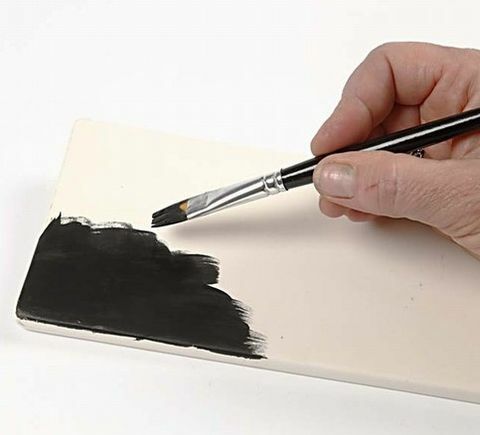 Black tile: Paint the art tile with black ceramic paint. Let it dry. 2. Make imprints of feet or hands with white craft paint. 3. Write the child’s name with a white glass and porcelain marker. 4. White tile: Make a foot or hand print directly on the art tile with black ceramic paint. Let it dry. 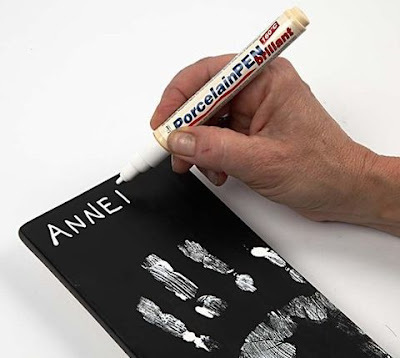 Write the child’s name with a black glass and porcelain contour marker.